The topic of this years’ World Brain Day (WBD) on JULY 22 is CLEAN AIR FOR HEALTHY BRAIN and was carefully selected, to raise awareness on the influence of air pollution on neurological diseases. Following the letter for the delegates, this short info will give you some information on this topic. In addition, as in all previous years, WBD promotion material developed by the WFN will be available for your use and adaptation of your local needs and languages. We do hope that this campaign will follow the success of previous campaigns of the WBD, and will touch on the emerging and important issue, which is the role of pollution and neurological disease. We hope that you and your society will be sharing the efforts for the WBD. The chair of this activity is Mohammad Wasay. For any inquiries, please contact us at: wbd2018@wfneurology.org. In recent times, the effects of air pollution on our health has attracted increasing interest with international institutions providing growing mortality and morbidity data. The latest estimation of deaths attributable to air pollution worldwide is 12 million deaths annually. These deaths are related to cardiac diseases such as myocardial infarction or congestive heart failure, neurological events such as stroke, lung diseases and cancer. Stroke notwithstanding, the suspected impact of air pollution on the brain is an emerging and worrisome issue. Air pollution is a global and diffuse contamination by noxious bio-aerosols (pollen, germs and toxins) and chemical compounds (manmade or of natural origin). Mostly long-term exposure to relatively high levels of certain chemicals in workplace air has resulted in many examples of nervous system damage over the past century. In addition to air pollution also occupational and residential air pollution is emerging. An example is the exposure to chemotherapy and metabolites of hospital personnel, and the biologic circle resulting in contamination of surface water. The chemical nature of environmental pollutants is complex and variable. Some gases (carbon dioxide and methane) are emitted into the atmosphere naturally from the decay of organic waste. Many are entirely man-made. What are the sources of the primary pollutants? While there are some natural sources of air pollution such as volcanic eruptions, activities, and fires, most can be attributed to human activities. The major source derives from widespread reliance on combustible fossil fuels for energy needed by industries, transportation and temperature control (both heating and cooling). Other human activities, such as agriculture practices, livestock and deforestation, are important additional sources. 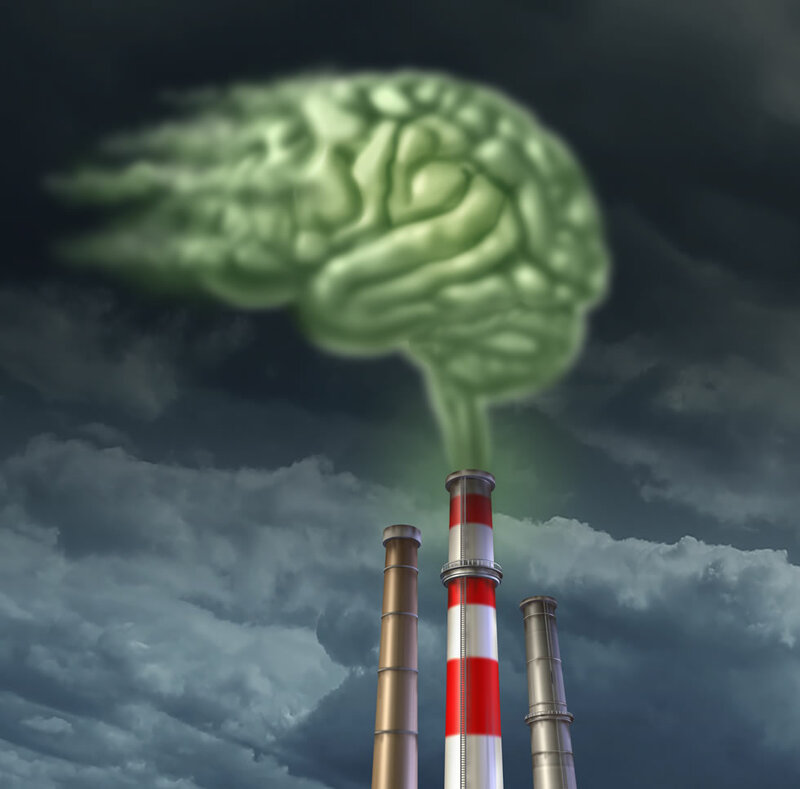 What are the impacts of air pollution on brain health? The recent Global Burden of Disease study, for example, has investigated data from 1990 to 2013 in 188 countries. It demonstrated that air pollution contributes to UP TO 30% of the burden of stroke. Stroke is the leading cause of motor handicap, the second cause of death in people older than 60 years, one of the main reasons for hospitalization, and a risk factor for dementia. The list of possible air pollution and environmental pollution adverse effects is increasing. Neuro-developmental disorders and neurodegenerative diseases, possibly also neuroinflammatory diseases are discussed among others as having a potential association with polluted air. Why is this awareness so important? 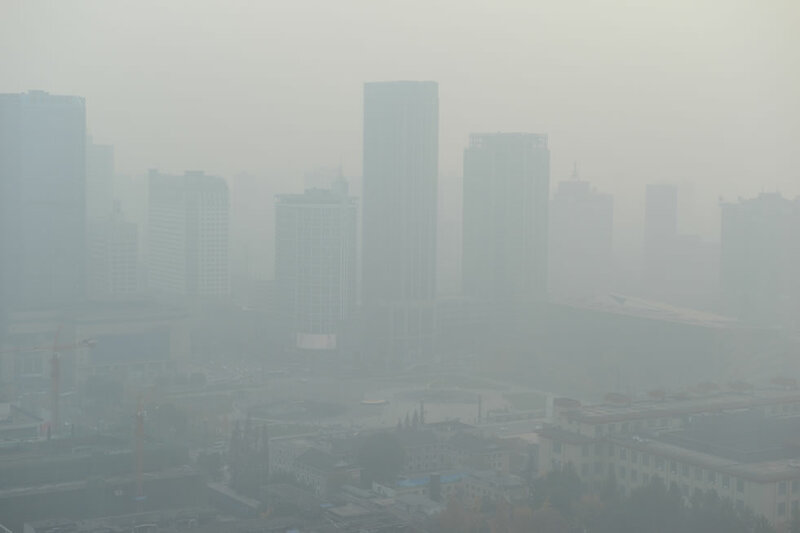 Air pollution and environmental pollution is a potentially modifiable risk factor for some cerebrovascular and neurodegenerative diseases. The dogma has changed: prevention is definitely not only an individual concern but must be considered at the societal level. This enlarging worldwide public health problem requires environmental health policies able to reduce air pollution to protect brain health and not only lungs. WFN material for the WBD is developed and will be sent to your society. If you have any queries and suggestions, please contact us at wbd2018@wfneurology.org. We look forward to many activities around the 2018 World Brain Day!